Park Falls, WI (October 2, 2018) – Ultra-refined instruments provide an almost supernatural ability to hear, sense and detect things otherwise impossible for humans. Antennae perceive subtle electromagnetic pulses. Stethoscopes listen for the slightest acoustical arrhythmia. 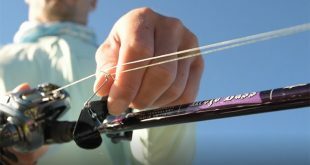 Other forms of finely tuned ‘listening instruments’ occur in St. Croix’s ice fishing rod line-up, most notably in the new Croix Custom Ice (CCI) rod series. 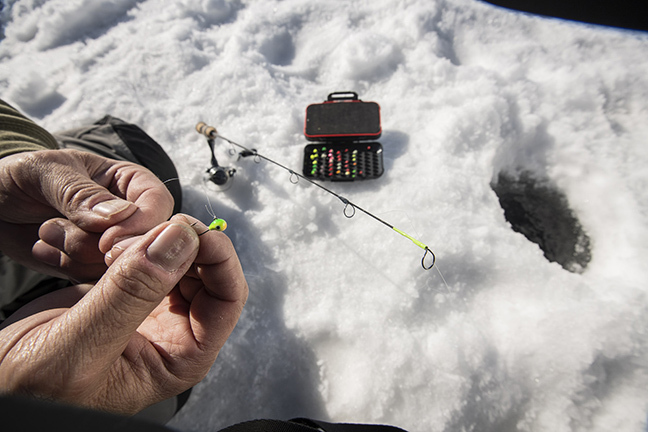 Two new elite-grade ice instruments utilize advanced solid carbon blanks to deliver a superior ice fishing experience. A 20-inch solid carbon “Sight-Bite” rod (CI20LXF) has been cultivated for the cat-and-mouse game with choosy panfish. 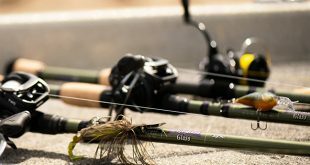 Devised to fish an array of dialed-down panfish presentations, St. Croix’s 24-inch “Pan Finesse” rod (CI24LXF) hefts like a feather and twinges with the faintest bites. 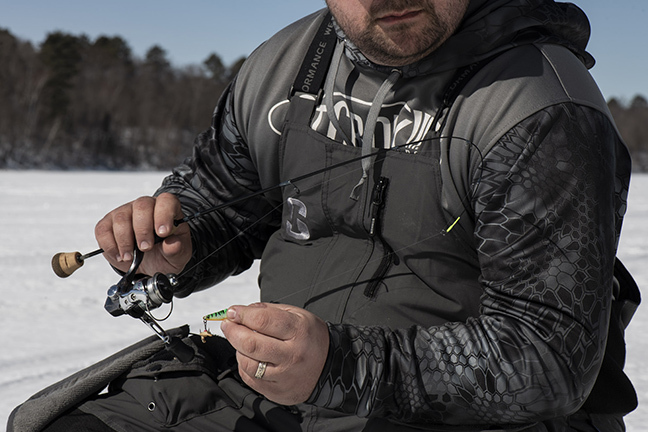 Identified for its talents precisely presenting tiny ice jigs, spoons and panfish plastics, St. Croix’s solid carbon blanks are the gold-standard in premium ice-panfish rods. 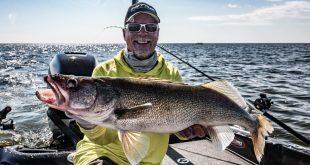 The materials used in each rod blank are engineered for the exacting demands of specific fishing styles, while being fully concerned with balance, sensitivity, strength and minimizing overall weight. 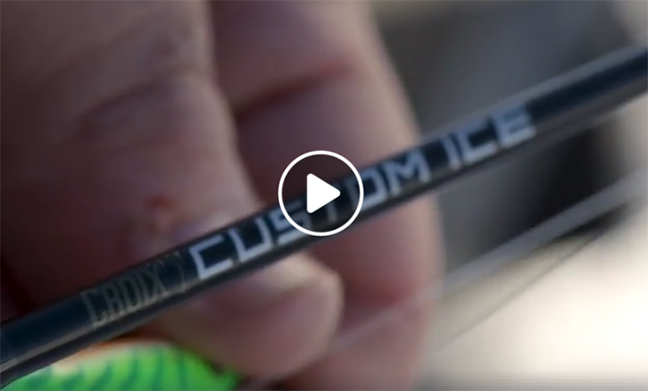 Both advanced solid carbon Croix Custom Ice rods feature a light power and extra-fast action. 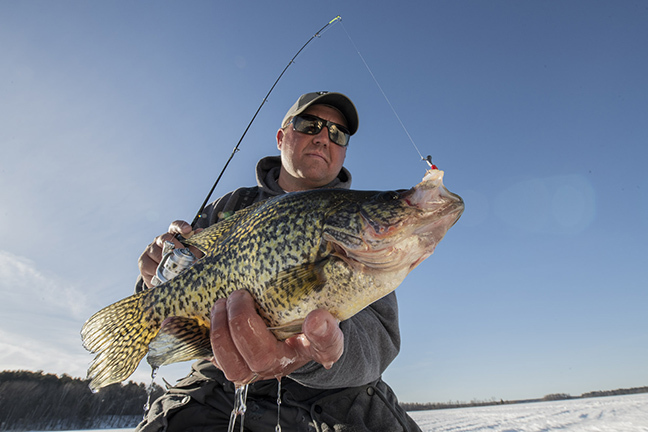 Similarly distinguished for specific ice fishing applications, St. Croix’s Solid Glass blanks provide perfect tapers for fishing jigs and spoons for large panfish, as well as walleyes. Sensitive, durable and appropriately powerful solid glass blanks form the foundation of two 28-inch Croix Custom Ice rods, each a great multi-species selection when fishing in a shelter. Filling another underserved—and increasingly important—niche in ice, St. Croix offers a new Custom Ice rod they’ve named “Tungsten Tamer.” Sporting a medium-light power, extra-fast action, the solid glass CI28MLXF fits and fishes heavy-for-its size tungsten with ease. The rod’s precision-taper and extra-fast tip amplifies jig action, transmitting light bites with equal efficiency. Proprietary blank technology built into each model for extreme performance. REC® Recoil® guides with black pearl finish. SC & SG models are designed and handcrafted in Park Falls, Wisconsin, U.S.A. (with domestic and foreign materials). TC, TCG & TCFG models are designed and handcrafted in Park Falls, USA.